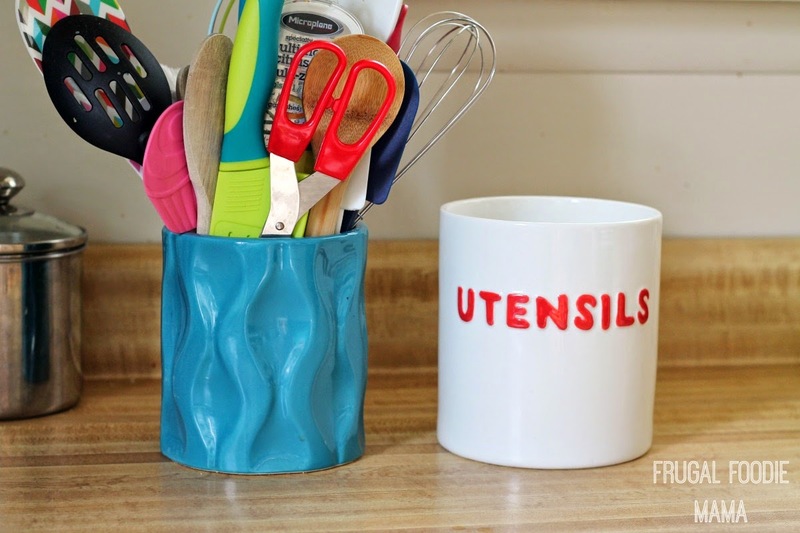 Recently I was contacted by Core to give some of their kitchen organization products a go, and I was totally game. 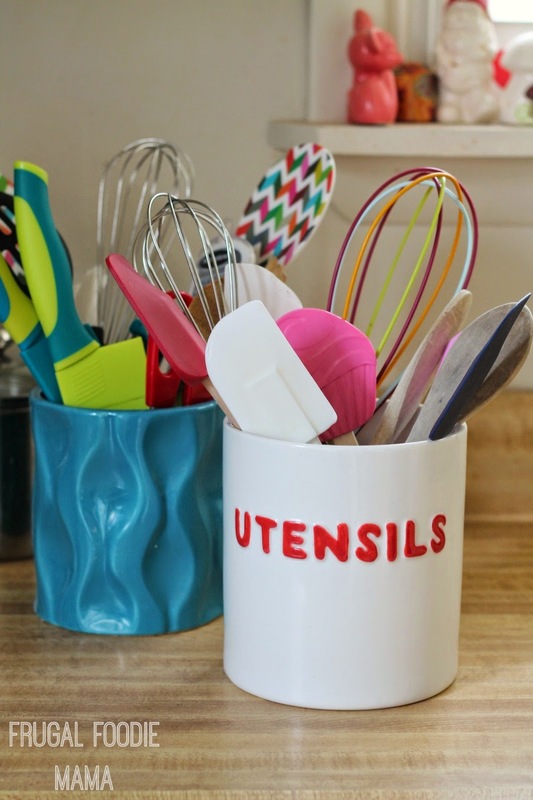 With the 2nd Annual Spring De-Junk Challenge starting next week & spring cleaning on my mind, I knew my kitchen needed a little sprucing up and reorganizing. 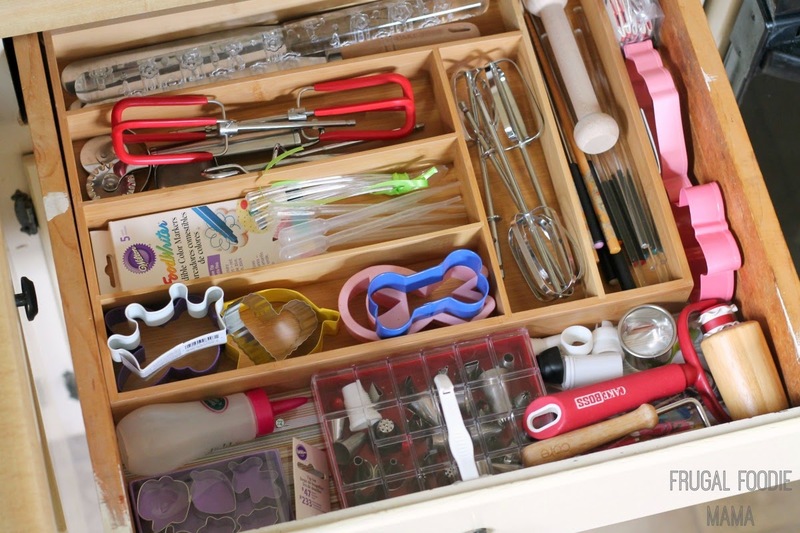 Every time I needed something from this drawer I knew I was up for a struggle. Often times I couldn't even find what I was looking for at all unless I took out item after item until I finally found it. 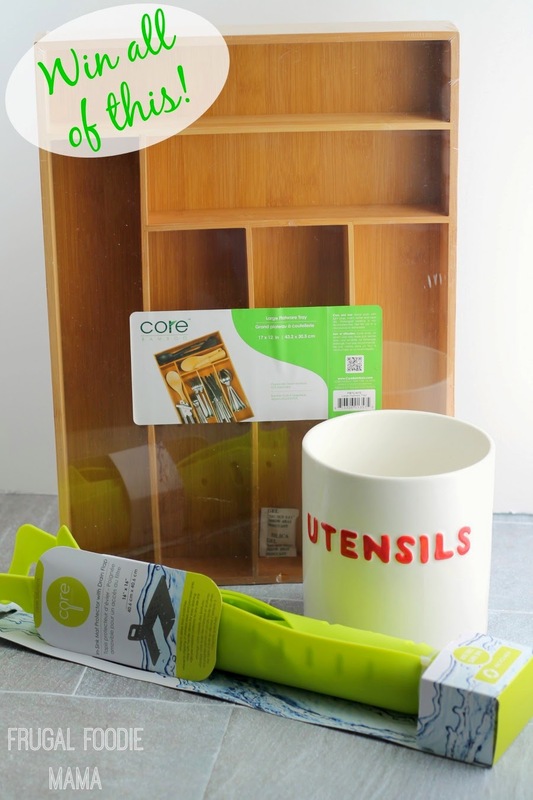 Thank goodness for Core's bamboo utensil tray coming to my rescue! Everything is neat and organized, and I can see what I need at just one glance! :) No more searching and yanking things out. No more frustration. Seriously, you all. I am once again enjoying baking. Don't get me wrong- I have always loved to bake. 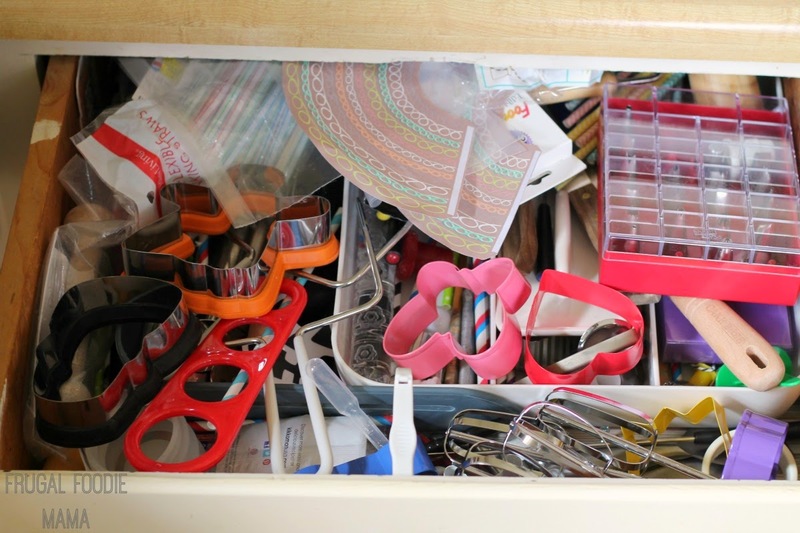 But when I knew I would have to be wrestling with my once infamous baking drawer to get anything done, it was definitely a tad discouraging. 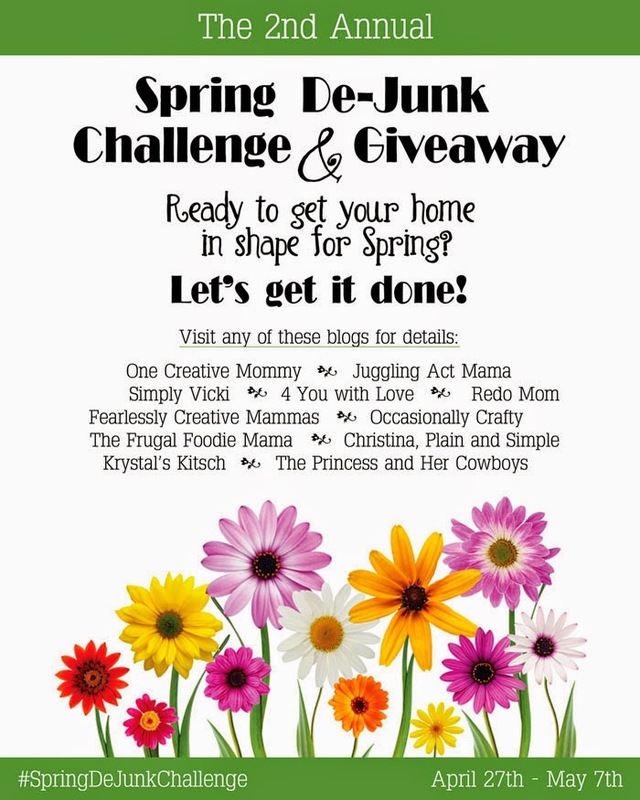 *This giveaway is open to U.S. residents only, 18 years or older. All entries for the winner will be checked and verified, so please make sure you are doing what you are claiming in the Rafflecopter or all your entries will be voided. No funny business, folks. ;). By entering you give the right to use your name and likeness. Number of entries received determines the odds of winning. One winner will be selected. The winner will be notified via the email they provide, and will have 48 hours to reply to the email. If the winner does not reply back within the 48 hours, they forfeit the prize and a new winner will be chosen via Rafflecopter. The prize pack will be sent directly from Core Home. Carrie of Frugal Foodie Mama is not responsible for the fulfillment of this prize. Entries must come from your MAIN social media accounts, not accounts that have been set up separately just for entering giveaways. Entries from these types of accounts will be disqualified. No purchase necessary. Void where prohibited by law.